Alcoholic beverage manufacturing has changed, especially in New York State — in fact, no state has done more to assist and promote the craft beverage industry. To benefit the growing number of independent brewers, vintners and distillers, we’ve worked collaboratively with the industry to transform our laws and add business-friendly legislation, including farm-based manufacturing licenses and tax incentives. The result is a renaissance in craft production throughout the state. Wineries, breweries, distilleries and cideries abound, their numbers keep climbing, and the trend is expected to continue thanks to the state’s focus on this industry. New York State ranks No. 4 in the nation for number of wineries, No. 3 in number of breweries, No. 2 in the number of distilleries, and No. 1 in the number of hard cider producers. New York State’s roster of craft beverage manufacturers includes 450 wineries, 430 breweries, 180 distilleries and 65 cideries. On average, manufacturing license applications are approved in 50 days by the State Liquor Authority, down from more than 100 days in 2010. Faster review times translate to businesses opening and earning profits sooner, and more jobs, economic development and investment in our communities. New York State is the third-largest wine-producing state in the nation and was named Wine Region of the Year in 2014 by the prestigious Wine Enthusiast magazine, citing the quality of wines, industry growth and improved business climate. The growing abundance of farm breweries, wineries, cideries and distilleries in New York State supports the state’s strong economy. To support continued and sustainable growth New York State offers incentives and assistance for the industry. 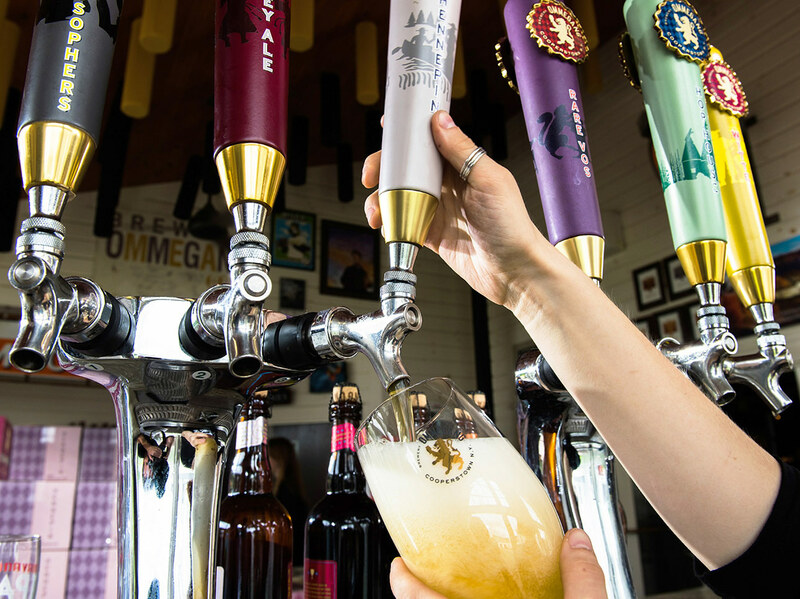 Empire State Development has issued grants for the promotion of craft beverages, including $250,000 to each of the four beverage segments to help conduct targeted advertising and marketing campaigns to promote their products. ESD issued an additional $500,000 to Oneida County Tourism through the Market NY grant program for their Brew Central Marketing Campaign. Financial assistance and incentives are also available for building and expansion. Examples include $6 million to Brooklyn Brewery for a new production facility and $400,000 in Excelsior Tax Credits to Other Half Brewery for their expansion into the Finger Lakes. Alcohol and alcohol-material production facilities can qualify for tax credits, and the state is reimbursing organic certification fees for many farmers. To encourage new start-ups, the state awarded more than $838,000 in New Farmers Grant Fund awards to 24 projects in 2018 alone.